Well known source of Nokia information on Nokibar’s forum published a sketch of Nokia 9 he made based on rumors. A new revelation about the device is that it allegedly won’t have the Nokia logo in the upper right corner above the screen on the front. Nokibar thinks the logo will go below the screen, considering the fingerprint sensor will be moved on the back, but he is not sure. He claims the sketch is 90%+ similar to the real device and that the 9 will come with a 5.7-inch (2K, 2560×1440) display. This is not an official render, but a sketch made by a well known source that proved to be right many times before. 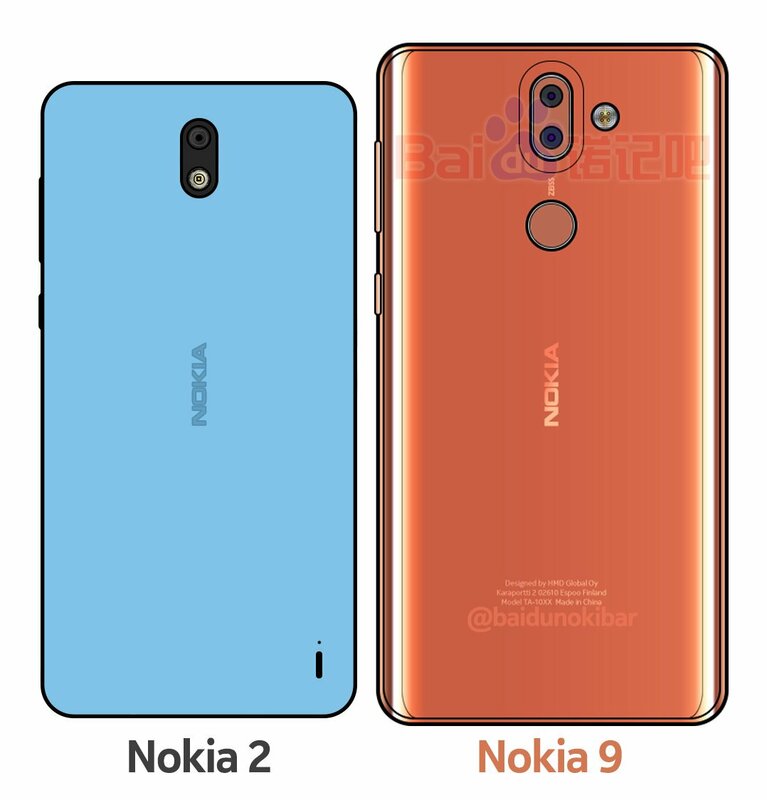 Nokibar also made a Nokia 3310, Nokia 8 and Nokia 2 sketches, that looked really similar to the final device or, in the case with Nokia 2, renders posted by Evleaks. 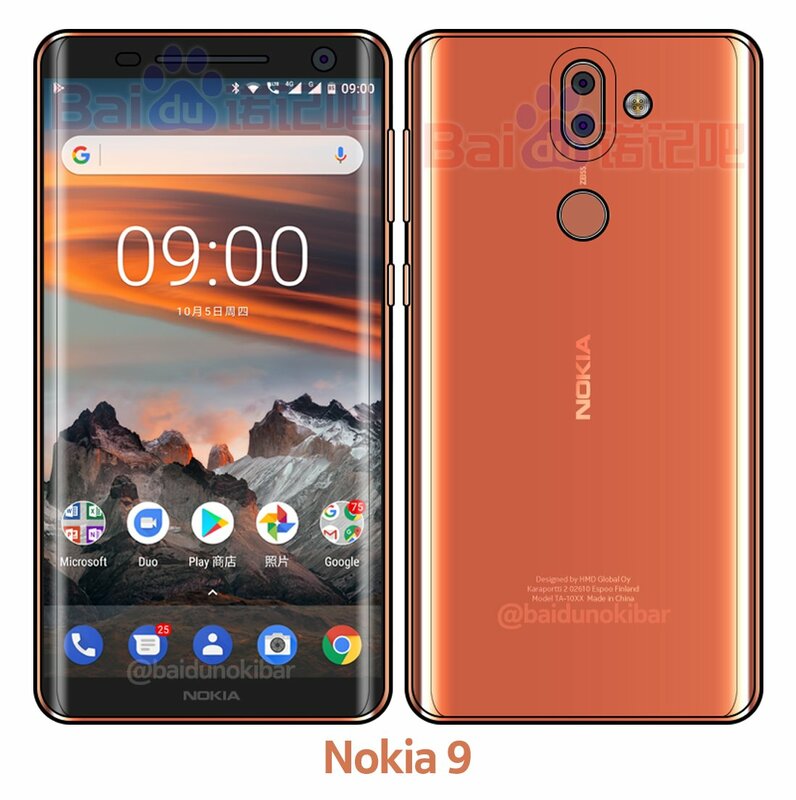 The same source that made the Nokia 9 drawings also published the photos of the copper Nokia 8 weeks before official announcement. He also made a sketch of Nokia 9’s back alongside the rumored Nokia 2 that can be checked here. I like how the Nokia 9 looks according to the source, and I don’t have anything against the logo below the screen. HMD could make the logo more visible, than on current smartphones. It seems that the 9 won’t be a truly bezel-less phone, but it will have minimal bezels below and above the curved screen. Will be interesting to see how close this sketch is to the real thing once HMD introduces the 9.